The Grooming Fail That's Ruining Relationships | Valet. We're going to assume that this warning will not apply to most daily readers of Valet. You're a suave, civilized and worldly group of men with discerning tastes. But even the best of us can get lazy at times. And that's what this problem boils down to, we imagine. We're talking about not brushing your teeth. Like when you were a kid and a parent or babysitter asked if you'd brushed your teeth before bed? You'd say yes and had even rinsed your toothbrush under the faucet to fool them. That way, you didn't have to go through the agonizing effort of brushing your tiny baby teeth. That was then. This is now. It's time to take some responsibility and take care of your teeth. But apparently, grown men are acting like spoiled kids trying to dupe the babysitter and skipping an essential part of oral hygiene. You read that right. They're not brushing their teeth. If you're shocked, so were we. It all started with Jaya Saxena's recent article in GQ about relationship subreddits that were filled with laments about the poor brushing habits of men. These men weren't brushing in the morning or sometimes at all and it lead to strained relations or breakups. She spoke with a few guys who rationalized their decisions. For example, Peter, a 30-year-old who only brushes twice a week. "I may spend all day following orders at work and studying for classes, and I don't really have a choice in any of that," he says. 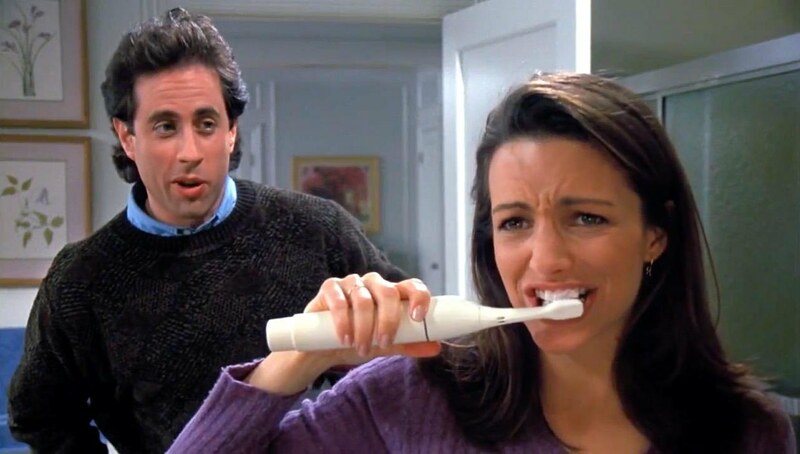 "But when it comes to whether or not I am going to brush my teeth this morning I am completely in control." It turns out, this is more common than we thought. 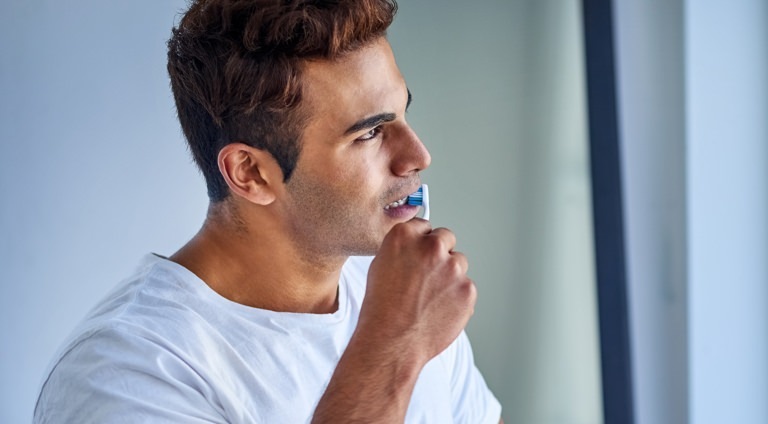 According to the National Institute of Health, a gender-based study of college students at a midwestern university concluded that women were far better at brushing than men. Similar findings were published in a different study from the Journal of Periodontology where men were less likely to brush regularly and do things like schedule regular dental checkups. Look, we know that brushing isn't fun—but it's not supposed to be. It's simply an essential part of looking and feeling your best. Washing your armpits isn't all that fun either, but you do it daily so as not to offend others, right? After all, whether you're in a relationship or single and looking, nothing kills your game quite like a dirty, smelly mouth. Need some data to back that up? 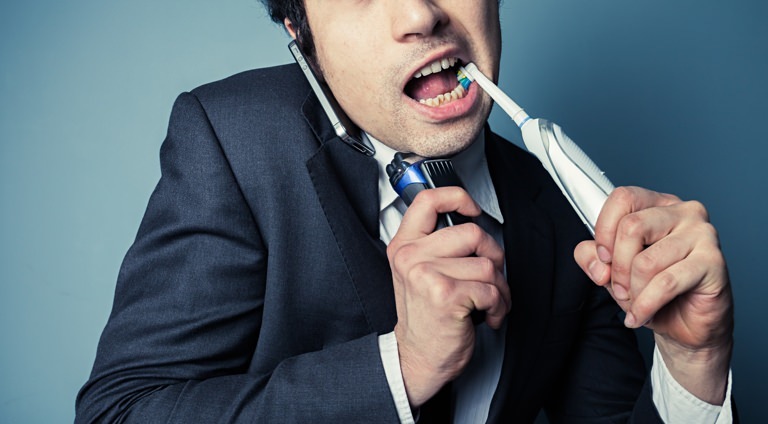 A survey by leading dental insurer Delta reported that good oral health was one of the top "sexiest qualities" a man could possess. Poor hygiene topped the list of reasons why a man might be dumped and 70% of women say that they won't kiss someone they believe has poor oral health. 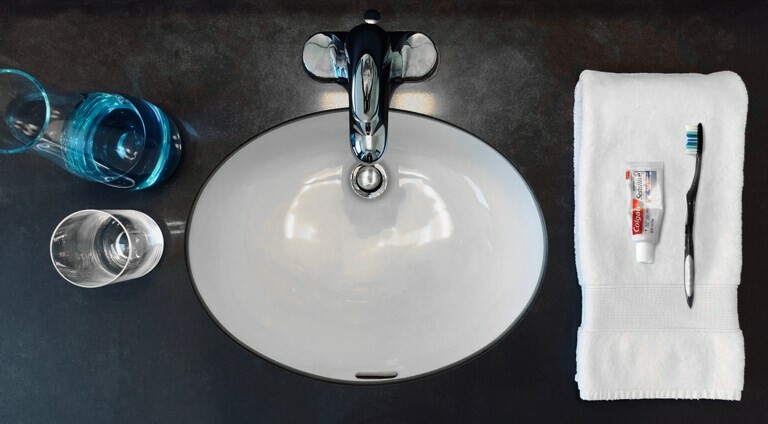 "Maintaining good oral health really comes down to the basics: brushing twice a day with a fluoride toothpaste, flossing, and seeing your dentist regularly," advises Bill Kohn, a dentist and consultant based in Oakbrook, IL. 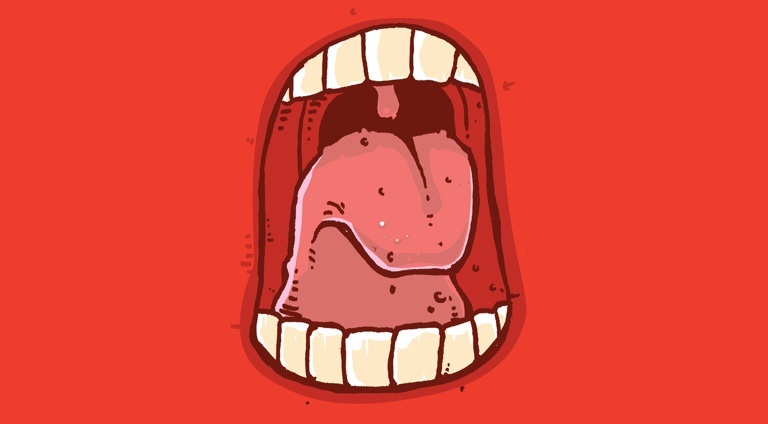 "Compared to actually finding a quality romantic connection, preventive oral health care is pretty simple and painless." He makes a good point. After all, if a couple of minutes will ensure that you're more attractive and a better partner, you've got the time, right? Once in the morning and again before bed. Brushing is done in two minutes, not 30 seconds. Look for a smaller brush head so you can easily reach all areas in your mouth. So you don't damage gums. Brute strength does not apply to teeth cleaning. This will throughly remove plaque from the gum line. (Or electric brush heads) every three months.